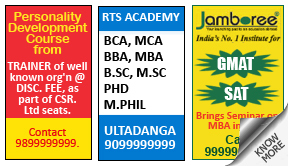 Why place Education Ad in Mathrubhumi Newspaper ? A country cannot truly progress until it experiences a strong willed effort to eradicate illiteracy, together as a mass. India’s progress in developing monetary and social strongholds have coincided with a rise in literacy levels. This rise in the literacy level can be attributed to the efforts of schools and private tuitions, not to mention the numerous professors, educators and tutors. If you are looking for a platform to advertise for a school or tuition service, Mathrubhumi’s Education segment is as good as it gets. 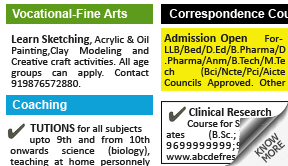 How To Book Education Ad in Mathrubhumi Newspaper ?